Mason is doing great in his transition. We are continually seeing his personality come out! He understands most of the things that we say but he is hasn’t been too interested in talking. Tonight, Scott was trying to get him to say book. Mason say book. Mason signs book. Mason say book. Mason signs book. Finally, when Mason was really ready for me to read the book he looked at Scott and pointed out the door. He does say dadda, momma, car, more, choo-choo, tickle, Jessie and hi. He is signing all the time and has too many to count. His favorite time of the day is when his brace/shoes come off. He raises his hands and says Yah! It is so cool to see him scoot around without the restraint of the shoes and brace. He is tolerating putting pressure on the bottom of his feet and stands for longer periods of time now. The doctor in Greeley is really happy with his progress and so are we. It really is such a miracle to see how his feet have progressed. Yah! 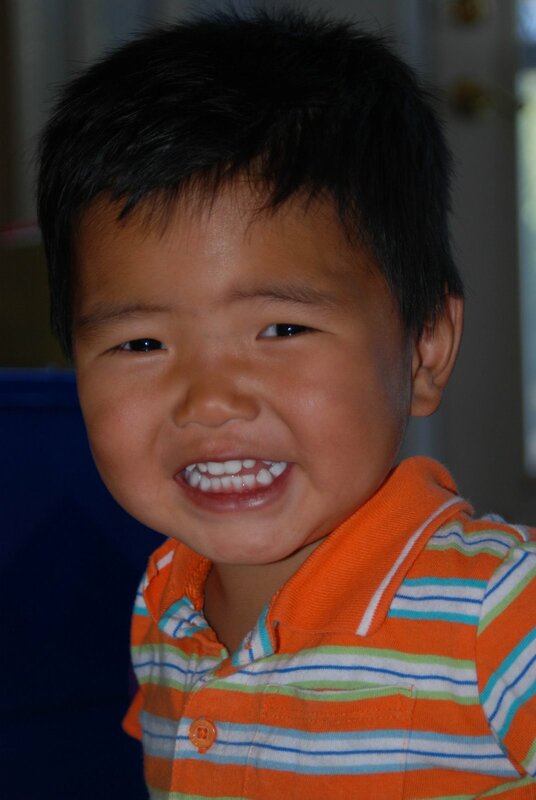 He has celebrated Easter, Independence Day and a birthday with his forever family. Every first is such a treasure for us. ← 4th of July pictures~ just 1 day late!